(Rick Egan | The Salt Lake Tribune) Investigators from West Valley and Unified Police investigate an officer involved shooting, leaving the suspect dead, in West Valley City, Sunday, April 8, 2018. The sound of his name echoed off the West Valley City Building Saturday afternoon as a group of about 50 protesters shouted in unison and held signs that questioned why police here shot and killed 20-year-old Smith last Sunday. WVC police have said Smith matched the description of someone officers were looking for after a theft at a cellphone store. Smith had gone into a house in West Valley City after running from police. Officers tracked Smith there, according to West Valley City police, and once inside, an officer fired his gun, killing Smith. Police have released few other details or described what happened during the confrontation. Unified Police Department officials said Saturday evening that their investigation is still ongoing — and any decision on releasing bodycam footage would be made by Salt Lake District Attorney Sim Gill. Those who spoke at Saturday’s rally believe Smith may have been running away and trying to hide from police because he feared for his life. 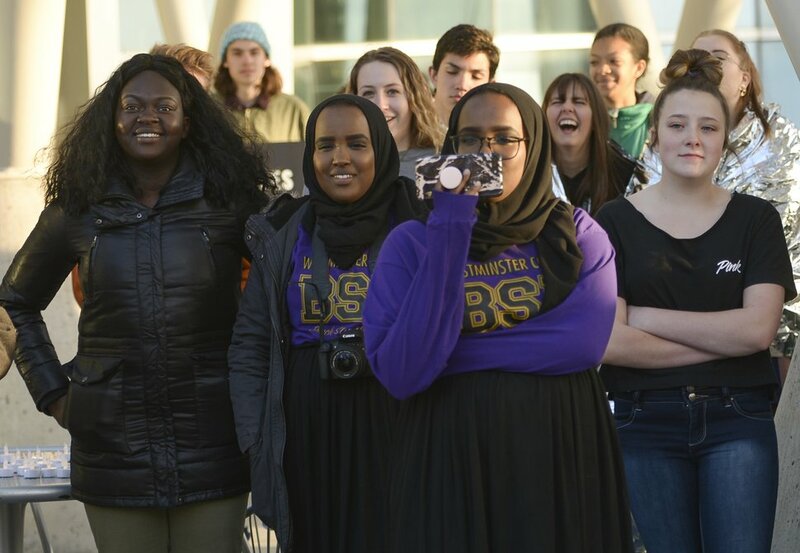 (Leah Hogsten | The Salt Lake Tribune) Participants laugh along with speaker Ashley Finley Ashley Finley who talks about her experience with a West Valley Police officer in January 2017 at a Black Lives Matter vigil and rally Friday, April 13, 2018 at the Salt Lake City Police Department. Protesters at rallies held Friday and Saturday demanded that body camera footage from that Sunday afternoon be released and called for the firing of the officer who fired the fatal shot. That officer has yet to be publicly identified. Utah Against Police Brutality organizer David Newlin told the crowd Saturday that he believes West Valley police pulled out their guns before thinking, pointing to past shootings by its officers, including the 2012 death of Danielle Willard. As protesters denounced police violence, those who knew Smith spoke about who he was. He had the best smile, his friends said. Family members said he was happy, energetic and a talented artist. Selena Montoya said the last text message she received from Smith was her childhood friend asking how to apply to college. Smith’s cousin, Monte Brown, said he lived just blocks from the West Valley Police Department and often talked with Smith at his apartment about their fear of police because they were young black men.